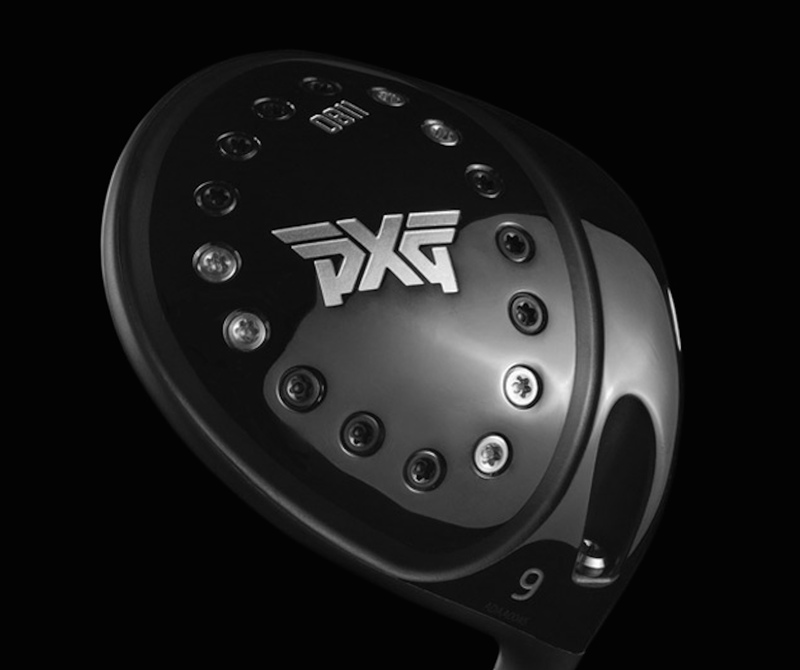 PXG have disrupted the whole golf equipment industry since their inception less than two years ago. 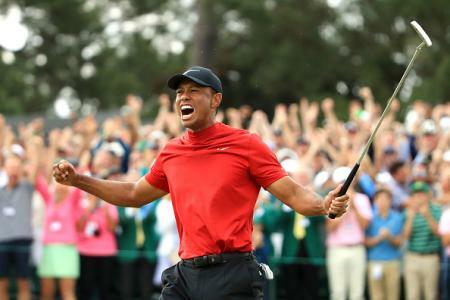 They've had tour wins, they've got major winners playing their clubs, and from our testing of their clubs, they flat out perform. The original 0311 iron looks like a blade but plays with much more forgiveness. 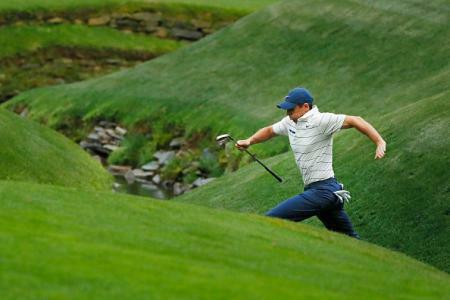 But there are plenty of golfers who want even more help. Enter the 0311XF. XF stands for eXtra Forgiveness. They're bigger. They're wider. They hit the ball higher, and longer. But most importantly they'll still feel great and look good behind the ball. The irons are longer from heel to toe, so there is more club face to hit the ball from. The sole is wider, with tungsten weighting, which moves the centre of gravity lower and further back in the head. This raises the MOI, and helps launch the ball higher and sends the ball off faster from the clubface. Because of this the lofts have been strengthened to give shots the correct trajectories for each iron, and it also adds more distance to every shot. If you're a golfer looking for more forgiveness, that generally that goes hand in hand with wanting more distance too, so these are the perfect choice. The rest of the design is similar to the 0311. A forged body has an ultra thin maraging steel face welded to it, a face so thin that it would break if it wasn't supported. In this case it's supported by TPE a material which gives the clubs an ultra soft feel at impact. 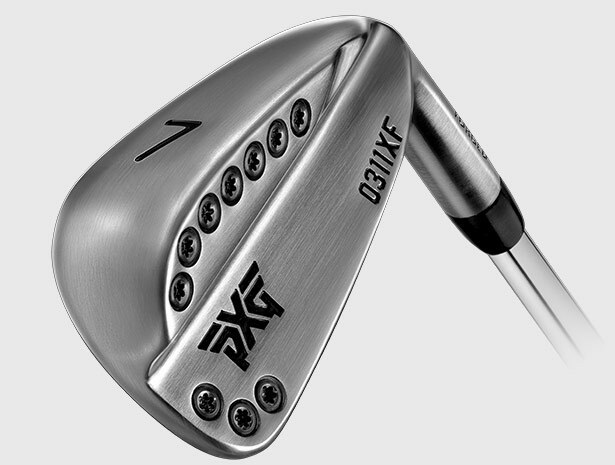 Hollow clubs have been attempted before, but they don't come off the face as fast, or feel as good as PXG irons do. 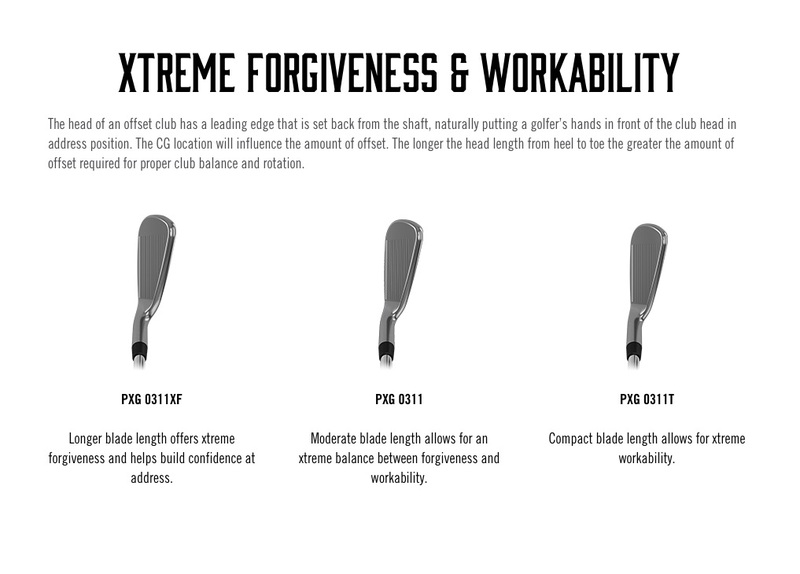 Just because a golfer wants more help, doesn't mean they want their irons to be big and ugly looking. 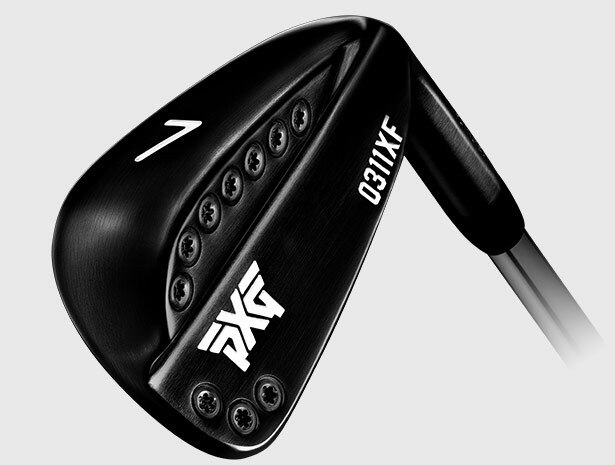 From a distance these would look no different to the original PXG 0311 irons and blend in perfectly if your want more forgiving longer irons. Charl Schwartzel has started playing the four iron XF in his set, hits it 260 yards, and loves it because it blends in with the rest of his irons. We can see a lot of players having mixed sets, and using the longer irons as driving irons. Irons cost $300 per club. Available in a black DLC finish for $150 per club extra.